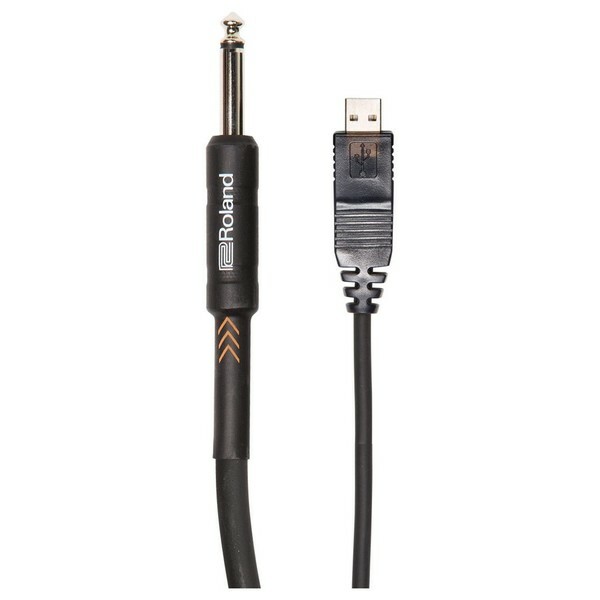 The Roland RCC-10-US14 Connect Cable has a 1/4'' plug on one end of the cable and a USB Type-A on the other. You can use this cable to connect a line-level or instrument-level audio device directly to your computer. The RCC-10-US14 cable is passive, and relies on your computer's USB audio support for operation. For connecting guitars, it is recommended that you use a buffered-bypass pedal. This cable offers dynamic reproduction with low noise. The heavy-duty polyethylene insulation provides added durability.